Auckland private girls’ school has “reversed” its uniform policy and now allows its students to wear the hijab after a public backlash. 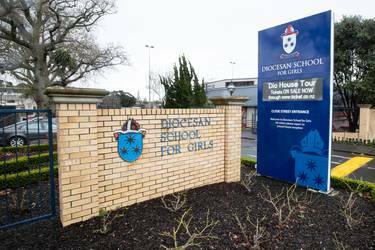 Controversy around the apparent ban of the Islamic headscarf at Diocesan School for Girls came after one of its teachers raised concerns with Turkish media about its uniform rules. The story by TRT World about the Anglican school in Epsom came less than a week after 50 Muslims were killed in a terrorist attack on two Christchurch mosques last week. However, the school’s principal Heather McRae appeared to stand-by the uniform code in a public statement yesterday despite public discourse calling for a change. But, today, McRae and the board chairman, Andrew Peterson, said the school would be “revising” its uniform policy to allow any student to wear the hijab. “After undertaking careful and considered discussion and receiving community feedback, we believe a revision of our uniform policy is appropriate,” their statement read. McRae and Peterson said the uniform policy was there to “foster a sense of inclusiveness and to avoid differences in dress” which may invite division and separation. “To the best of our knowledge, there has never been any formal request from a parent or student to wear the hijab at the school,” they continued.